Teddy has five older sisters and a five year old brother, Jake, who he calls The Destructor. Teddy is trying to break a world record and has many failed attempts. He also moves into a tent to escape his many siblings, one of who destroys Teddy's favorite things. Facts from the Guinness Book of World Records are interwoven into the story. Teddy is funny and his antics are amusing. The story is sweet, as well, as Teddy learns an important lesson. There are many illustrations throughout the book adding to the interest factor. This is a series I will be introducing to some of my students. Doreen is rather unique. She's a fourteen-year old girl with the tail and powers of a squirrel. She has to keep her tail concealed so others don't realize she is different, but she still has difficulty making new friends. When Doreen realizes she can use her special abilities to help others she becomes Squirrel Girl. Being Squirrel Girl becomes more difficult when she is challenged by a villain. This story is packed with action. 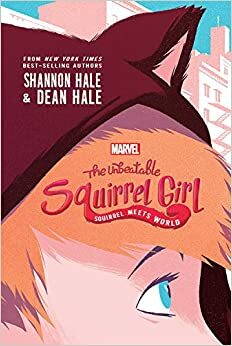 It is based on Squirrel Girl, a Marvel Comics superhero and readers who enjoy stories about superheroes and villains will be entertained by this one. Doreen is a determined, warm-hearted, and funny character. Squirrel Meets World is both quirky and fun. This story told from the perspective of Nosewise, Wizard Merlin's dog, is a twist on the tale The Stone in the Sword. When wearing a special stone, Nosewise has special powers including the ability to talk. When Merlin and his apprentice Morganda are kidnapped, Nosewise goes in search for them. His adventure takes him to a castle where he meets Arthur, into the depths of the Otherworld, and finally to Avalon where a battle to rescue the wizard takes place. This is an adventurous story with some humor and lots of magic and wizardry. Nosewise is a loyal and brave dog and his main role in the story will be appreciated by dog lovers. I just got The Wizard's Dog. The book trailer is cute, I can see fans of dogs and fantasy enjoying it. So many of my students love a dog story. 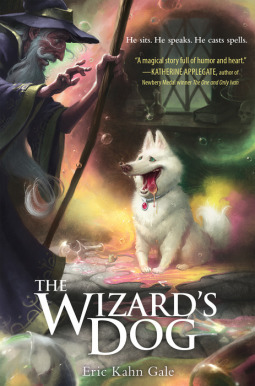 I have a few students who love fantasy as well so I'll definitely be getting a copy of The Wizard's Dog to share with them. I'm glad you convinced me to finish up The Unbeatable Squirrel Girl: Squirrel Meets World. In the end I would say that it was ok, but it just didn't work for me. Those notes to the reader drove me crazy! I can see how the notes to the reader might do that! I'm interesting in knowing what students think of it. All three of these titles would be well-liked by many of my students. I ought to check them out. Have a great week! I've seen Squirrel Meets World pop up on a few blogs recently, it definitely sounds like something that would be super popular at the library! These are all unfamiliar titles to me - oh wow! Thanks so much for sharing!